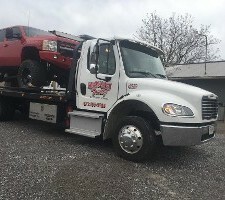 North & South is happy to provide roadside assistance and off-road recovery throughout Cleveland, Tennessee, and the surrounding area. Our fleet is on call 24/7 to assist clients throughout the county, and will provide you with an accurate estimated time of arrival. 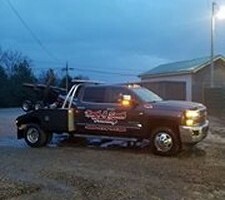 From jumpstarts and lockouts for any vehicle to load shifts and transfers for trailers, we serve all kinds of drivers. Our powerful winch can even provide off-road recovery for both light and heavy-duty vehicles. We also have wreckers for low clearance areas as well as Landoll trailers and lowboys to haul equipment like bulldozers, excavators, or tour buses. Prices vary depending on your needs, so get in touch with us for details.